Every Monday, a Queer Eye queen is taking over Meghan Trainor’s #NoExcusesPlaylist. Can you believe? In the gift that keeps on giving, Queer Eye’s Fab Five are back with their latest project and, this time, it doesn’t involve gourmet hot dogs or go-to hair care routines. Instead, they’re all about the bass, henny. Every Monday in April, one of the Fab Five are taking over Meghan Trainor’s #NoExcusesPlaylist and turning it out with 15 handpicked tracks. 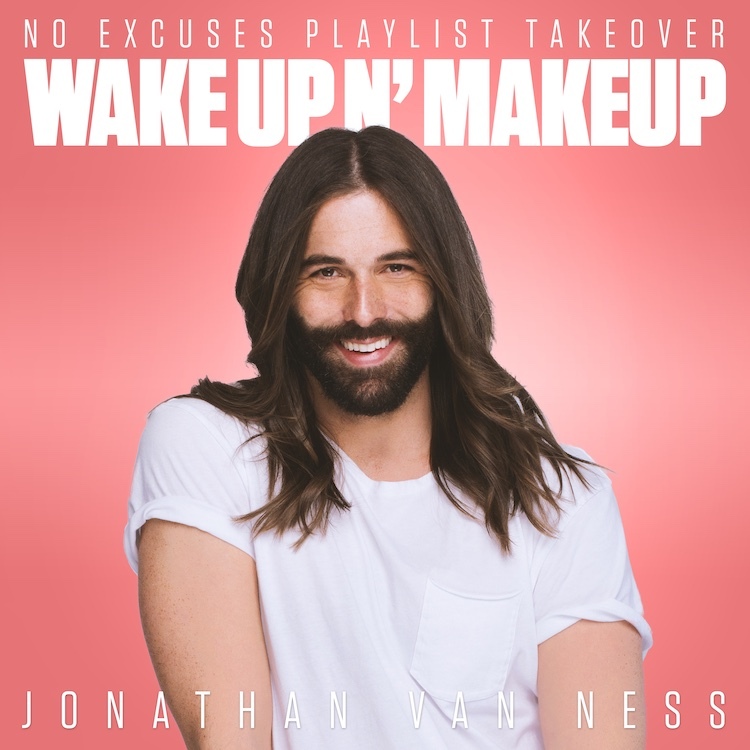 While we’ll have to wait to see how many of Antoni’s tracks are inspired by his band t-shirt collection, today we’ve got grooming expert and meme queen Jonathan Van Ness coming in hot and fabulous with his “Wake Up N’ Makeup” playlist. Before you dive in deep and sashay to his favorite songs, he talked us through five of his top tracks on the playlist. Solange’s album, A Seat at the Table was one of the best albums for me — ever. “Rise” just gets it moving and grooving for me in the right way in the morning. I picked this song because it’s a banging moment to model walk around the apartment or gym to — especially when Nicki refers to herself as Nicki Yamagucci. I live for a figure skating Kristy Yamagucci line, so to have Nicki intro a whole generation to Kristy is the most. Honey! Two of my favs coming together for a fierce female power money! Yes, please. Am I def over Fifth Harmony? Yes, but let’s remember the fierce times. “All That She Wants” is nostalgic and fun. It reminds me of my cousins and I playing model and putting on all this makeup to that song and taking disposable camera pictures. It was so cute. “Sorry Not Sorry,” much like Demi, is just so fierce. I love Demi’s music and she can’t help it she’s serving authenticity and I’m eating it up. I adore her and her creativity, and have a hard time not listening to her 24/7.